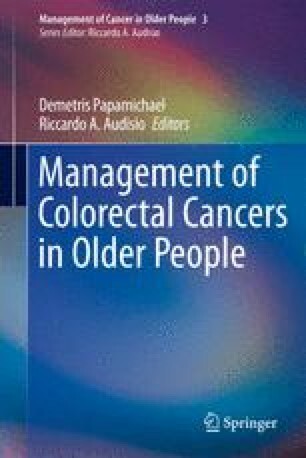 Colorectal cancer is typically associated with advanced age, with an estimated median age at onset which reaches 70 years of age in the western population. Limited data are available regarding the differences in genetic and epigenetic alterations in colonic carcinogenesis between younger and older patients. Some studies suggest that mutation status in critical genes, such as KRAS, BRAF, or PIK3CA/PTEN, is different, depending of the age at diagnosis of colorectal cancer. These data provide the evidence that distinct genetic mechanisms are implicated in the somatic development of colorectal cancer in younger and older patients.